Fred Hoiberg may not have much rhythm, but his Iowa State Cyclones are dancing their way to the Sweet 16. The Iowa State Cyclones advanced to their first Sweet 16 since 2000 this Sunday after a thrilling last-second 85-83 victory over traditional powerhouse UNC Tar Heels. And he doesn't care who knows it. 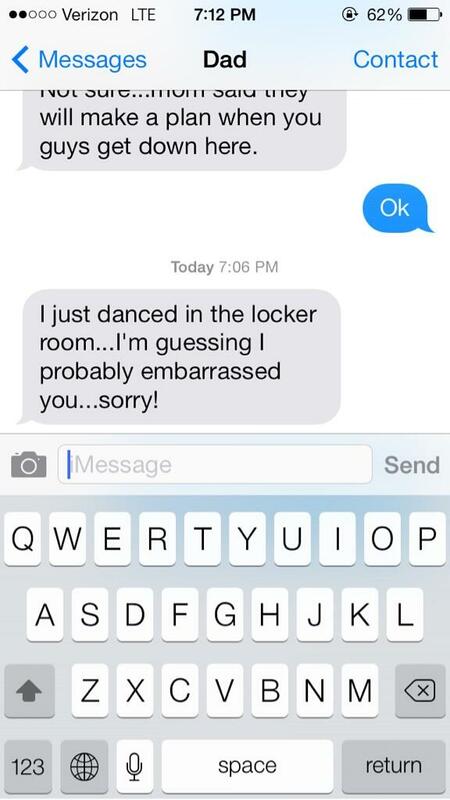 After he busted some serious moves in the locker room, Hoiberg texted his daughter to apologize for possibly embarrassing her with his post-game celebration. She didn't care, but his son was a little more critical of his dad's moves. My dad might have the worst dance moves of all time. Iowa State faces UConn this Friday night at Madison Square Garden for a chance to move on to the Elite Eight, and keep dancing...literally.